November 17, 2010 - While the investigation into the incident onboard 787 Dreamliner ZA002 continues, Boeing has established a plan to fly two other aircraft, ZA001 and ZA005, back to Seattle from Rapid City, S.D., and Victorville, Calif. The U.S. Federal Aviation Administration has reviewed and approved the plans. During approach to Laredo, Texas, last Tuesday, Boeing?s 787 Dreamliner ZA002 while on a test flight, lost primary electrical power as a result of an onboard electrical fire. Backup systems, including the deployment of the Ram Air Turbine (RAT), functioned and allowed the crew to complete a safe landing. The cause of the fire is still under investigation by Boeing. The pilots executed a safe landing and at all times had positive control of the airplane and all of the information necessary to perform that safe landing. Initial inspection appears to indicate that a power control panel in the aft electronics bay will need to be replaced on ZA002. Boeing reports they are inspecting the power panel and surrounding area near that panel to determine if other repairs will be necessary. ZA001 was undergoing refueling in South Dakota when the incident on ZA002 occurred and the company decided to forgo additional flights. ZA005 was on remote deployment for testing in California. The flights follow a series of inspections on the airplanes' aft electronics bays. No testing will be performed on the flights. The team investigating the incident in Laredo has developed a detailed understanding of the ZA002 incident, though more work remains to complete the investigation. In addition to the information already released about the incident, data show that the total duration of the incident was less than 90 seconds, the fire lasted less than 30 seconds, the airplane concluded the event in a configuration that could have been sustained for the time required to return to an airport suitable for landing from any point in a typical 787 mission profile. The team in Texas has completed inspection of ZA002 and has begun to prepare to install a new power panel and new insulation material. The team also is repairing minor structural damage that occurred during the event. This damage will be addressed with standard repair techniques in the airplane structural repair manual. The team is currently evaluating the timeline for completion of the repair work. The incident on ZA002 demonstrated many aspects of the safety and redundancy in the 787 design, which ensure that if events such as these occur, the airplane can continue safe flight and landing. 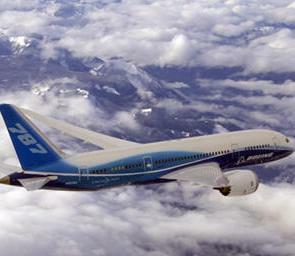 No decision has been reached on when flight testing of the 787 will resume. Before that decision can be made, we must complete the investigation and assess whether any design changes are necessary. Until that time, Boeing cannot comment on the potential impact of this incident on the overall program schedule.